If there was ever an album that showcased R.W.’s heart, this is it. A strong mixture of R.W.’s traditional cowboy lifestyle, his Western heritage, loving tributes to life-long friends, and straight from the heart musical stories for America and her Veterans. This Cowboy, is the first of a set of 2 CDs from R.W. 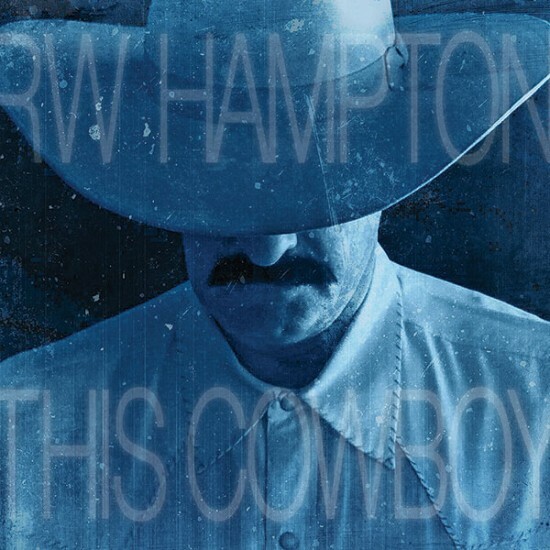 that include a few recognizable cover songs like “El Paso”, thrown into a mix of songs penned by Hampton with co-writes by his wife and others, along with a handful of wonderful new songs and spoken-word pieces from other contemporary writers. All original recordings, featuring some of the leading studio musicians in the business. The second CD, My Country, is scheduled to release Spring/Summer of 2015.